Accumulating evidence indicates that hyper-glycaemia is deleterious to brain function, in particular to the hippocampus. 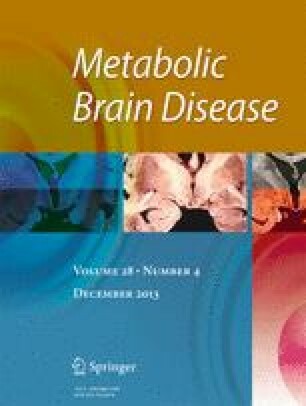 It is thought this hippocampal dysfunction may contribute to hyperglycaemia related cognitive impairment, such as that which manifests with diabetes. In the present study, we investigated the effects of diabetes-related hyperglycaemia on hippocampal gene expression, in order to identify potential mechanisms that might be associated with the cognitive dysfunction that develops with diabetes mellitus. Genome-wide gene expression profiling was carried out on the hippocampi from streptozotocin (STZ)-induced diabetic mice, and from vehicle treated control mice. Genes of interest that satisfied expression fold-change and statistical criteria, and that were considered to be potentially associated with cognitive function, were further tested by real time, quantitative polymerase chain reaction (qPCR) analysis. We found that STZ-induced diabetes resulted in decreased hippocampal expression of genes involved in epigenetic regulation and synaptic plasticity, for example, histone deacetylases and glycogen synthase kinase 3 beta (HDACs and GSK3β). We also found increased expression of genes involved in signalling cascades related to cell growth, cell survival and energy metabolism, such as neurotropic tyrosine kinase receptor type 2, apolipoprotein E, and protein tyrosine phosphatase receptor type (Ntrk2, APOE, PTPRT). To our knowledge this is the first study to demonstrate a gene expression profile implicating epigenetic modifications and alterations of synaptic plasticity associated genes in diabetes mellitus. The present study will improve our understanding of the neural mechanisms that might underpin diabetes-related cognitive dysfunction. The online version of this article (doi: 10.1007/s11011-013-9418-y) contains supplementary material, which is available to authorized users.